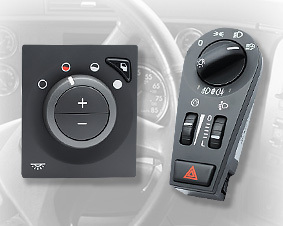 Stoneridge offers an ECU for internal and external light control. It is suitable for trucks, buses, and off-road vehicles. The Autosar-compliant software interface of the light control module supports the integration into the CAN-based in-vehicle network. The ECU (electronic control unit) is designed according to ISO 26262 framework for functional safety. Besides CAN connectivity, there is also a LIN interface. The light controller supports high-power LEDs and bulbs. It is compliant to 12-V and 24-V power systems. The module comes in a housing made for commercial vehicles and is designed to meet automotive temperature requirements. Stoneridge presented the product at the IAA 2018 (hall 16, stand A09). The company also exhibited other products including tachographs compliant to the ISO 16844 series. This standard specifies a CAN-based link between the motion sensor and the driver’s display.